~ Smooth glazed - Simulated stone. ~ The look of Natural stone at one third the cost. ~ Select tiles can be used indoors as well as outdoors. ~ Exceptional stain & water resistance, ceramic is impenetrable. 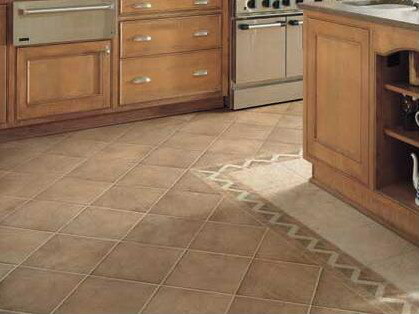 ~ Vary the grout color for different looks.